As the latest installment in the Star Wars franchise, Solo: A Star Wars Story, is released, the first of many themes that come to mind throughout the Star Wars Universe is friendship. This seems appropriate for a couple of reasons. First, this movie will likely focus on the beginning of Han Solo and Lando Calrissian’s burgeoning relationship (and we all love Lando, right?). Plus, when discussing the original trilogy, there are so many friendships and bonds that push our ragtag bunch of heroes to overcome impossible odds and defeat the evil Empire. In keeping with this theme, let’s take a look at some of the major friendships in a galaxy far, far, away. But before we get there, let’s analyze what friendship means psychologically. Friendship is something that is hard to pin down, as it means something different to everyone. Basically defined, friendship is a relationship of mutual affection between two people. But again, this is quite broad. A quick search through the psychological literature will find several characteristics that define friendship, including mutual trust, shared interests, shared knowledge, feelings of love and respect, and commitment to the friendship and the other person. One group of researchers in 2000 examined friendships in early adulthood, which describes most of the main characters in the Star Wars Universe. During childhood, most of us are friends based purely on proximity. You find another kid who lives on your street or goes to your school that is the same age, instant friendship. This continues through college age individuals, with studies showing that the closer people live to one another (like in dormitories), the more likely they are to be friends. But, as people branch out, like our heroes in the rebellion, friendships are more difficult and infinitely more complex. There is a theory called the Similarity-Attraction theory which states that we tend to become friends with those that validate our own self and world view. Don’t worry, we’ll get into arguments between the force and a trusty blaster at your side in just a bit. But many other things besides proximity and world views affect our friendships. This can include personality style, attachment with early figures like our parents, and quality of our friendships in our youth. The main conclusion of this study, after examining these factors, had to do with the age of the participants. As we age, our networks tend to shrink. Some of this is due to mortality, but much of it is because our younger selves are exploring and finding out what they want from friendships. Luckily, our young intrepid heroes are a bit more flexible and need support in their time of need. So, let’s get to those friendships. This will by no means be an exhaustive list, so feel free to leave your favorite Star Wars friendship in the comments! We will begin with the longest running, and possibly most important, friendship in Star Wars. The trusty droids C-3PO and R2D2 are constantly present (to the point that some compare them to a Greek chorus), but their relationship is also a source of entertainment for the audience. At first glance, they seem combative and leave us wondering if they even like one another. R2 is rude and stubborn, while C-3PO is neurotic, consistently complaining, and more than a bit bossy. But, when push comes to shove, when their backs are against the wall, their friendship is unshakeable. There is a genuine concern towards one another, even if it is communicated through lectures and a series of beeps and boops. When looking at our definition of friendship, these two certainly have shared interests and knowledge. But depending on when we look in on them, mutual trust and feelings of respect are called into question. However, specifically when R2 is in danger on the back of an X-wing, the commitment and worry that C-3PO shows solidifies these two as true friends, even if we know the guilt trip is coming. And who doesn’t have at least one friend like that? Our hero, Luke Skywalker has a few important friendships, but none is more interesting to me than his connection with Han Solo. When they first meet at the Mos Eisley cantina, they seem more like oil and water than fast friends. They both have a tendency to build themselves up and try to maintain the upper hand. Han judges him for his youth, for his faith, and even for his successes (Don’t get cocky, kid!). This continues until Han has second thoughts and comes to Luke’s rescue at the end of the first film, enabling him to destroy the Death Star. Now, of course, this friendship evolves over many films, and the two connect in basically every way that two friends can. Given their dedication to the rebellion (no matter how much Han fights it), there is a mutual affection, trust, shared interests and knowledge, and true love and commitment between the two. This is a truly impactful friendship because of the respect they have for one another. Luke will never be a character who is morally flexible, and Han will never fully share a trust or belief in the Jedi or the force. But they do fully trust and believe in one another. Han seems to be a man who believes in what he can see and touch. And he has seen Luke’s heroism, dedication, and love for his fellow person. And even if he would never admit it, he respects Luke. Luke, in turn, respects Han for always returning, even when no one believes that he will do the right thing. He consistently thinks of Han as a better man than even Han feels like he deserves. Luke also has a powerful friendship with his twin sister. We’re just not going to talk about that kiss, ok? 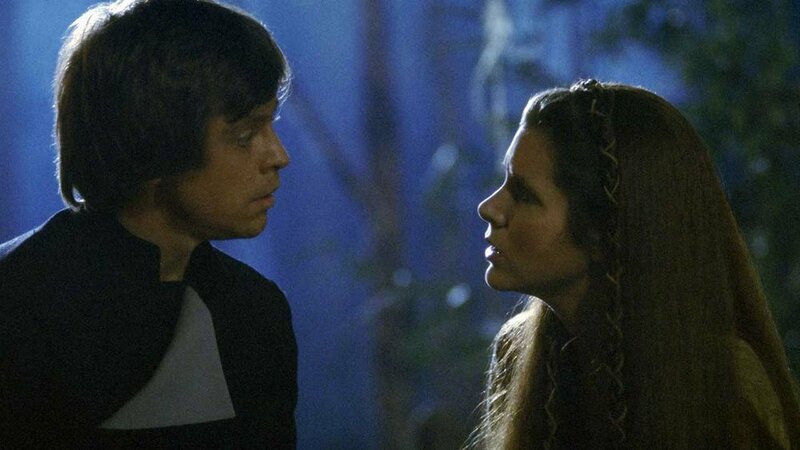 Luke and Leia are both people who will do the right thing, even to their own detriment. We see this in Leia’s unwillingness to bow to torture, culminating in being forced to watch her home planet be destroyed. We see this in Luke convincing the crew to rescue Leia from Darth Vader, even at the risk of being captured himself. Of course, as we learn their familial relationship, the two get much closer throughout the trilogy, and even into the more recent films. Despite their distance, that kin and bond of friendship is forever strong. I guess mutual trust is a relative given with a force connection. But even when they disagree, there is a feeling of respect and commitment between the two. Luke respects Leia’s passion, leadership, and willingness to sacrifice beyond what most people would. Leia respects Luke’s dedication to not only his training, but to his friends, even when it is an obvious trap. Back to Han Solo, he carries another one of the longest running friendships in the series with his co-pilot, Chewbacca. Similar to the two droids, only one of the friends speaks our language, so sometimes it can be difficult to quantify their connection. But even when we cannot translate, we can certainly believe in this friendship. Han is the only one who can truly understand Chewbacca, and we see him help get everyone on the same page on more than one occasion. Sometimes, it’s letting others know to just “let the Wookie win,” but other times it is convincing Chewie to go along with a plan that puts him in shackles within range of the Empire. Plus, we see the two work together through some of the most dire circumstances imaginable. Possibly through their own mistakes, these two are constantly in over their heads, but 99% of the time, they come through unscathed. This is primarily due to their friendship. They have been through the wars before. They trust one another implicitly, and always have each other’s back. And as far as that shared love and respect, one need only to look at Han’s end in The Force Awakens to see it. The anguished howl from Chewbacca tells us everything that words could never express regarding how they feel about one another. Despite rarely sharing a language, these two may have the most even and solid friendship in the Star Wars Universe. 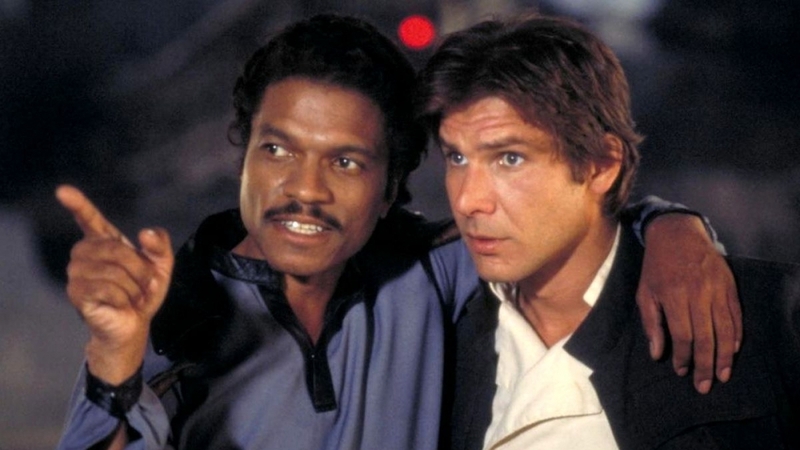 And now we come to it, possibly the most difficult friendship, Han Solo and Lando Calrissian. When Lando is introduced in The Empire Strikes Back, no one is sure what to think. Lando first play acts hating Han, then hugs him. After this, he tries to woo Leia, and then promptly betrays the rebels to the Empire for his own gain. Are these two even friends? Are they actually enemies? Frenemies?!? And if Lando’s story ended with Empire, he might be the most hated character in the galaxy. But he certainly redeems himself in The Return of the Jedi, disguising himself and helping Luke, Leia, and Han escape Jabba the Hutt’s barge and certain death. And whether he can fully trusted or not, Lando steps up to the plate and plays a major role in the defeat of the Empire back at the helm of the Millennium Falcon. But back to Han and Lando, of course Han is disappointed in the betrayal, but it can be argued that he eventually accepts it because he knows his friend. Both Han and Lando, before the rebellion, are men that have surely done at least questionable things to survive. You certainly don’t end up with bounties on your head if you haven’t bent the rules. Despite their difficult friendship, one can feel the mutual respect and admiration they have for one another. Just the mere fact that these two survived the original trilogy and their wild lives that came before it takes a certain amount of skill (and luck!). And by the end of that trilogy, there is evidence that each is much more committed to their friendship than when they first reconnected in Cloud City. There is no doubt that Solo: A Star Wars Story will give us more friendships to root for in this universe. But most importantly, there will be a way to fill in the gaps of Han and Lando’s story. Many can argue that this type of film makes Star Wars smaller, and honestly, they might be correct. But hey, we get young Lando swaggering through a heist and young Han finding his footing in the world of smuggling. Plus, we get them together, before everything goes bad! I say, sit back and enjoy it for what it can be, an exploration of what people from different walks of life can accomplish when they come together with a common goal. Sure, they’re probably not out to save the world like in the original trilogy, but it is still a rag tag bunch of adventurers against the odds. I know, I know, never tell me the odds!